Wow – 2014 sure went by fast, don’t you think? A wise, Native American Shaman once told me that her people believe time is actually speeding up. Certainly, as the years go by, the time in front of us feels shorter than before and we often feel the need to make each year, month and day count more than when we were younger and they seemed unlimited. So at the beginning of this new year, we might want to consider…what do we want 2015 to be like? How can we make this year joyful, fulfilling and satisfying? While most of us have responsibilities and commitments that preclude spending the year in Tahiti (would that actually be as fulfilling as we dream it would? ), we do have places in which we have more autonomy and control than we might think. Unfortunately, many of us fall into a sort of magical thinking – if I just want something enough, it will magically happen. We also have a habit of focusing on our failures or shortcomings, which isn’t the most effective way to propel ourselves into planning for the future. So let’s take a look at 2014 to see where we thrived and what helped us do that. What did you do during the year that completely surprised you? What did you learn about your character, needs, or strengths from this? What was the biggest challenge you faced? What strengths of yours helped you face it? In what area(s) of your life did you really make progress? Why is this important to you? Now, with this information in hand, let’s imagine what we want for the coming year. In what ways do you want your life to be the same at the end of 2015? What do you need to do to assure that? How will you make that happen? In what ways do you want your life to be different? What needs to change in order for that to happen? Who can help you with that? What strengths of yours can you draw upon? While it’s easy to get bogged down by responsibilities and commitments, not to mention the many potholes and obstacles that unexpectedly appear in our lives, we can take hold of our life and make it ours through a process of reflection, intention and action. So here’s my request: find an hour in the next week to sit down with your partner, family, friends and your calendar. 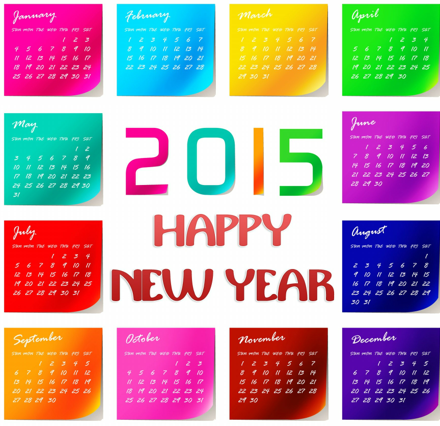 Schedule those things that will help you begin to move into a joyful and fulfilling 2015. This single small action will jumpstart your year.